This was an interesting book, and it’s very “of the times” in that there are always seemingly refugees wanting to enter other countries. I listened to the audiobook version of this book, and I enjoyed hearing the story as it unfolds from the three different perspectives invovled in this case. 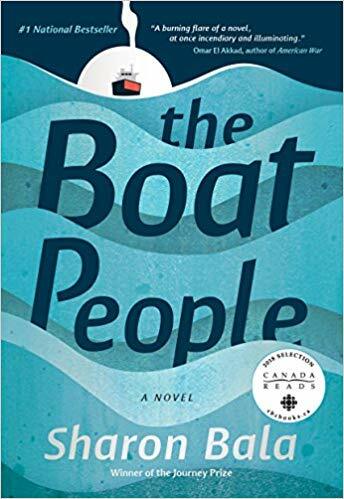 “When a rusty cargo ship carrying Mahindan and five hundred fellow refugees from Sri Lanka’s bloody civil war reaches Vancouver’s shores, the young father thinks he and his six-year-old son can finally start a new life. Instead, the group is thrown into a detention processing center, with government officials and news headlines speculating that among the “boat people” are members of a separatist militant organization responsible for countless suicide attacks—and that these terrorists now pose a threat to Canada’s national security. As the refugees become subject to heavy interrogation, Mahindan begins to fear that a desperate act taken in Sri Lanka to fund their escape may now jeopardize his and his son’s chance for asylum. *My progress for the Canadian Book Challenge is 9/13! !